Described by Oxford scholar and crime fiction reviewer T. J. Binyon as ‘probably the best crime novel set in a women’s college since Dorothy L. Sayers’ Gaudy Night’ Janet Neel’s Death Among the Dons is set in Gladstone College, an all-female, almost forgotten outpost of London University. The college is living beyond its means, its buildings crumbling and its books not balancing. The Warden is found dead in mysterious circumstances and then a knife-wielding prowler claims three victims in the college grounds. Policeman John McLeish, now a Superintendent and back in uniform, is also a father. 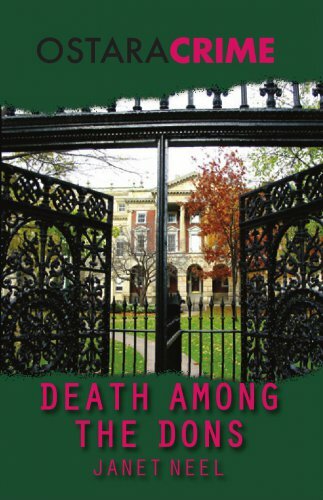 His wife Francesca, looking for a gentle way of resuming her career after motherhood, agrees to help Dame Sarah Murcheson sort out the problems of Gladstone College, only to find it could be the death of her.